Your neck is one of the most complex bundles of bones, nerves, and muscles in your entire body. In fact, your neck is the site of a series of nerves that control every facial and head movement you make as well as all sensation below your shoulders. It’s no wonder why neck pain and any resulting headaches are cause for concern, especially when you cannot immediately identify their cause. Whether your neck pain is chronic or acute, sharp or dull, caused by injury or originating from an unknown cause, one fact remains. It cannot be ignored. To begin uncovering the source of your pain and addressing its resolution, contact our office today. 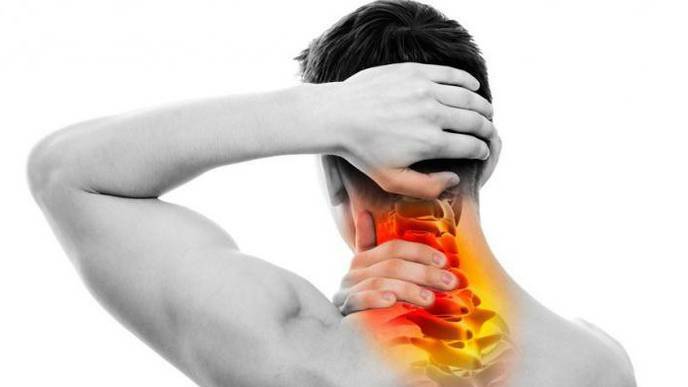 What Causes Pain in Neck? Your head is connected to your spine through a series of nerves and muscles and two tiny bones called the atlas and axis. The way these bones move together determines your head’s ability to move up and down or side to side. Tendons and ligaments add stability to your neck while muscles alternately tense and relax to allow for it to move. Tension, injury, poor posture or stress can cause pain to develop in your neck. The most important step in treating your pain with physical therapy is to identify its cause. How are Neck Pain and Headaches Related? Since the neck is home to the cervical plexus, eight spinal nerves that branch into the cerebral column, pain that starts in the neck will often travel to the shoulders, back, and head. This is the biggest reason why neck pain is commonly associated with headaches of all types including migraines. In some cases, chronic headaches may be caused by neck pain and vice versa. In these circumstances, physical therapy to address neck pain can resolve frequent and severe headaches. Likewise, physical therapy to address headaches may help resolve neck pain as well. Most of the time, your first thought for treating a headache or pain in your neck isn’t physical therapy. You may first try pain-relieving medications, massage, or even changing the way you sit or work. However, chronic headaches are often an indicator of a much bigger problem than what you can fix on your own. Your physical therapist will begin with a series of diagnostic tests aimed at helping determine the root cause of your neck pain and chronic headaches. You may need to have an x-ray to rule out fractures, especially if you have been injured. You may also receive an ultrasound to examine soft tissues and see how the joints in your neck move together. You may even need an MRI to rule out more complicated physical problems that may be causing your neck pain and headaches. A physical therapist is a musculoskeletal expert that has an arsenal of weapons to help you address neck pain and headaches. Through targeted exercise, a physical therapist can help you improve your strength and range of motion. In many cases, these exercises are more effective at treating neck pain than prescription pain medication. Physical therapy may also include manual therapies aimed at helping reduce tension in your muscles, stretch the tendons and ligaments in your neck and relieve aches and pains. These manual therapies may include trigger point therapy, massage, electrical stimulation or ultrasound therapy to ease your pain. No one needs to suffer from neck pain long term. Whether you have acute or chronic headaches or dull or sharp neck pain, now is the time to have it addressed. The sooner you see a physical therapist, the sooner you can start on the road to recovery. Don’t let neck pain stop you for another day. Contact us for an appointment.and visit us today at the centers of Prospect Park & Secaucus, NJ.